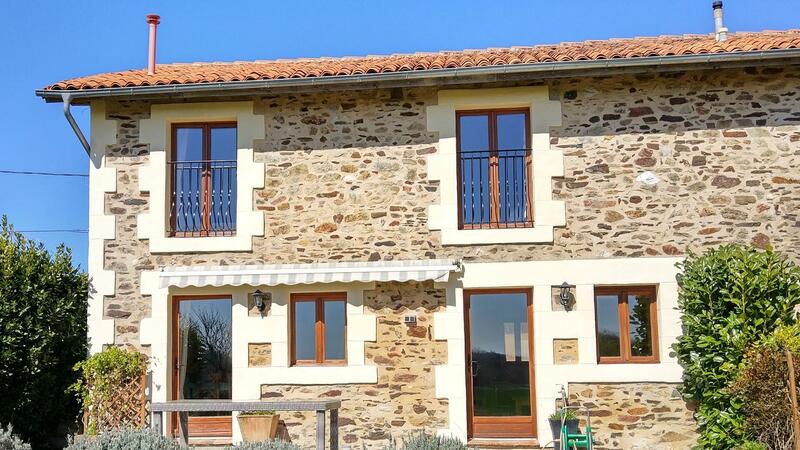 This one bedroom holiday cottage is ideal for a family with a baby or toddler sleeping in a cot or single z bed. 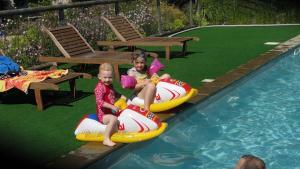 There is also a double sofa bed in the lounge offering accommdation for a family of up to four guests including babies and toddlers. 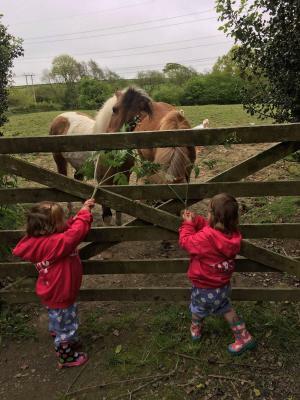 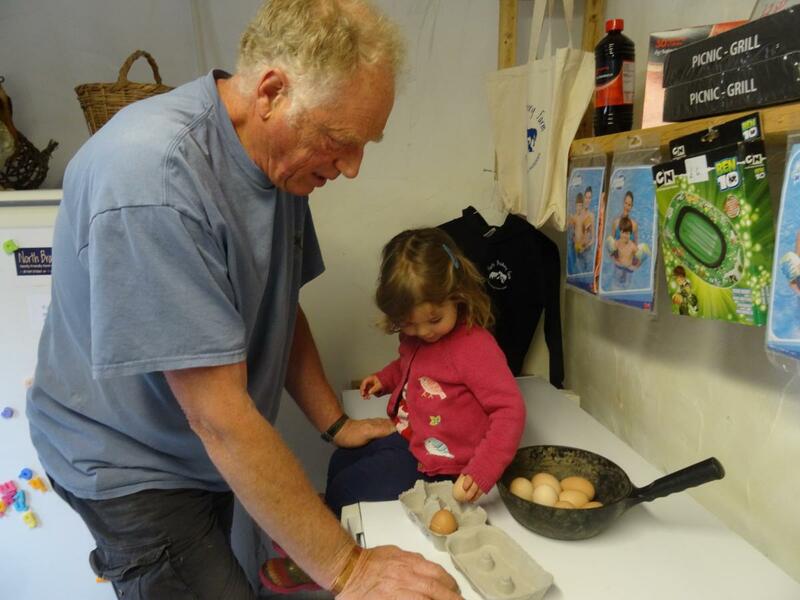 The family friendly farm is located in North Devon within easy reach of beaches and local attractions and just two miles stroll to the local village where you will find a family-friendly pub. 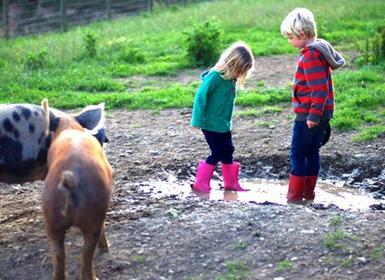 The farm itself is home to a host of friendly animals who love to be fed twice a day. 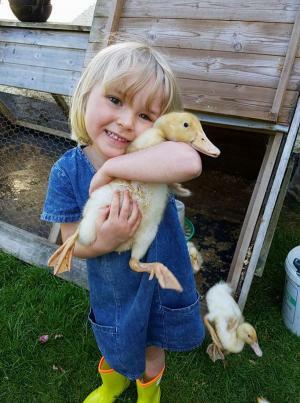 Children will adore petting the animals too and maybe a pony ride or two. 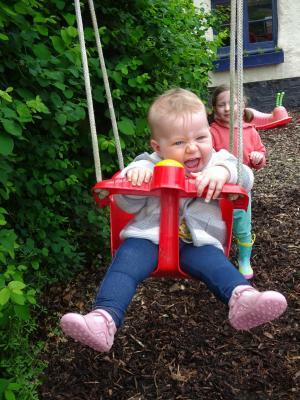 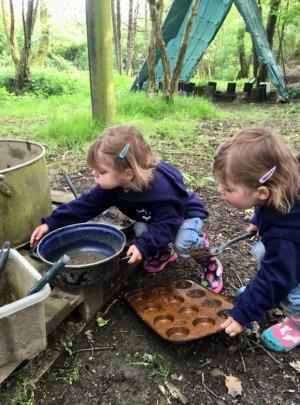 There are lots of play areas for all ages to enjoy including a wilderness area with stream, den building, ride on toys, adventure play area, farm yard play area and outdoor swimming pool. 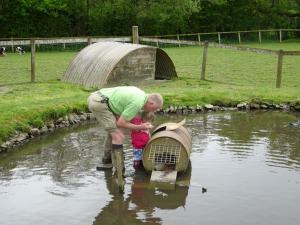 If that’s not enough to keep the kids entertained there are 10 acres to explore too! Adults are not left out here either and will enjoy the beautiful location and farm shop with ready cooked frozen meals. 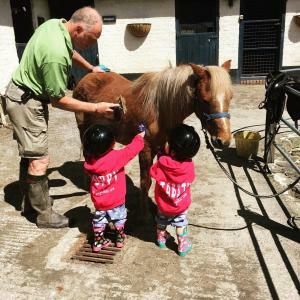 If you fancy a night out, babysitting can be arranged and for a bit of fun why not try your hand at clay pigeon shooting, go horse riding or enjoy a nice massage. 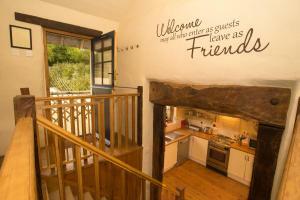 This is a one bedroom ‘upside down’ baby and toddler friendly holiday cottage. 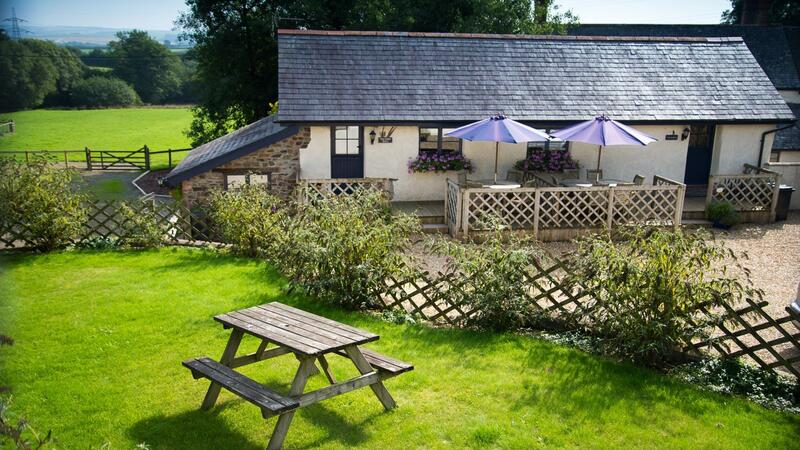 There is room in the double bedroom for a cot or single z bed and the sofa bed in the living area can sleep an extra 2, making it suitable for a family of up to four guests (including baby/toddler) There is an electric log burner and under floor heating making it ideal for a family break any time of year. 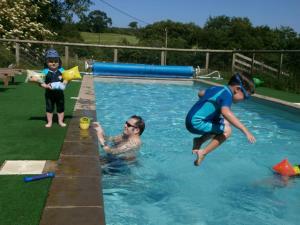 The cottage has its own veranda and access to the shared fully-enclosed grassed garden area.